A man is walking down a road with a basket of eggs. 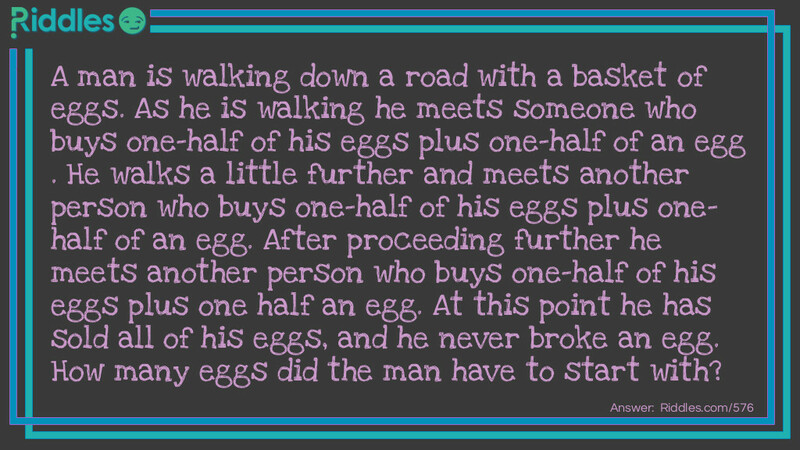 As he is walking he meets someone who buys one-half of his eggs plus one-half of an egg. 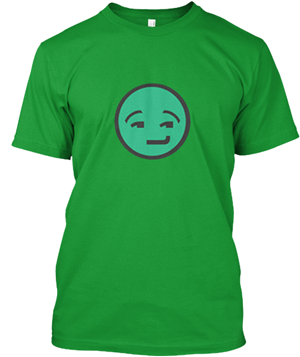 He walks a little further and meets another person who buys one-half of his eggs plus one-half of an egg. After proceeding further he meets another person who buys one-half of his eggs plus one half an egg. At this point he has sold all of his eggs, and he never broke an egg. How many eggs did the man have to start with? 7 eggs. The first person bought one half of his eggs plus one half an egg (3 1/2 + 1/2 = 4 eggs) This left him 3 eggs. The second person bought one-half of his eggs plus one half an egg, (1 1/2 + 1/2 = 2 eggs) leaving the man 1 egg. The last person bought one-half of his eggs plus one-half an egg, (1/2 + 1/2 = 1 egg) leaving no eggs. Eggs in a Basket Riddle Meme with riddle and answer page link.